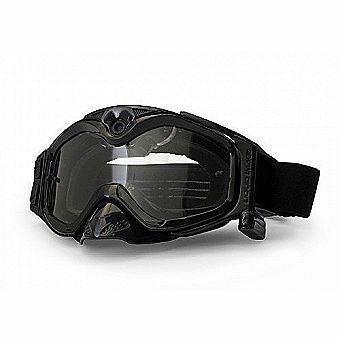 The Liquid Image XSC Impact Series HD is a MX Goggle with an integrated True POV HD Video camera. The goggle contains a 136 degree (FOV) wide angle lens to capture all the action for all Off-road Sports. The Helmet Compatible hands free unit has a 5.0 MP camera mode and a video mode that records HD720P video at a rate up to 30 frames per second with audio. The Impact Series HD can hold a Micro SD/SDHC Card up to 32 GB. Product includes a 4GB Micro SDHC card and a Rechargeable Lithium Battery for 1.5-2 hrs in the HD Video Mode. With the use of a micro SD/SDHC card, the camera is capable of recording thousands of photos or hours of HD video and can be downloaded to a computer through the High Speed USB cable provided, or through a Micro SD/SDHC card.